Adding technology to your golfing gear can give you the extra edge on the course. The best golf GPS watches provide accurate information such as the yardage to certain areas of the course (green, bunkers, lakes and roughs). Not only that, but they also provide real-time feedback regarding your golf swing and strokes to aid your performance. 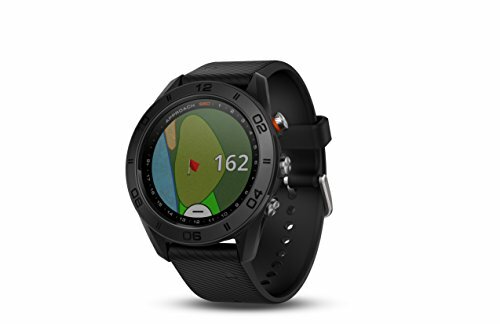 The best GPS watch for golf is the latest Garmin Approach S60 that has over 40,000 preloaded courses worldwide and has the reputable brand behind the GPS technology. Think of a GPS golf watch and your own personal caddie that is on your wrist. It will tell you everything you need to know regarding your next shot on the course. The Fitbit is the most common technology used on your wrist but GPS golf watches are becoming even more popular by the day. They are programmed with many features that improves your golf game quite significantly. The best golf GPS watches come with features such as yardage to target areas, green views, activity tracking, full color screens of course, swing tracking and much more. Due to the demand from golfers, there are a large number of GPS watches on the market. To make your research much easier, we have listed the best golf GPS watches for the money below. Garmin is market leaders with the majority of GPS technology on the market and they have been involved with golf GPS devices for quite some time. 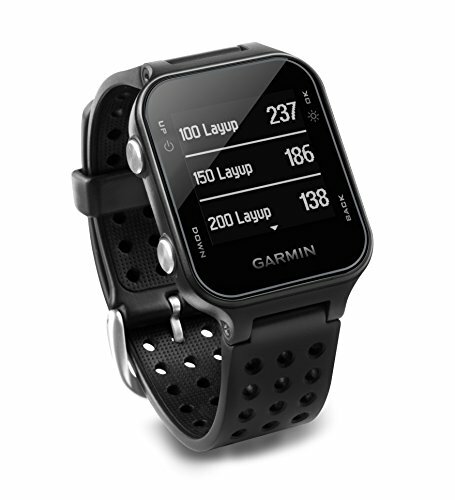 The S60 model is the latest by Garmin and the feature list is truly remarkable. It is a great looking watch with a reasonable large watch face at 1.2 inches. The screen itself is a high resolution, sunlight readable touchscreen that is very intuitive. All functions can be accessed from a touch of a screen without using tiny buttons. and of course many more other features. As with any wireless technology, battery life is an important factor to consider. The Garmin Approach S60 GPS has a battery life of up to 10 hours in GPS mode and 10 days in “smart mode”. The average game of 18 holes is approximately 4-5 hours, which means you should be able to get 2 rounds of golf before it needs recharging. In terms of styling, the S60 is one of the best-looking golf GPS watches and you also have the ability to change the watch bands. Multiple colors and materials (synthetic or leather) are available to mix things up. Overall the Garmin Approach S60 is the best golf GPS watch you can buy. Garmin has really gone overboard with this watch and there is no membership or subscription required. The crystal clear 1.2-inch screen provides you with all the excellent features in high resolution. The only drawback is the price because its the most expensive but this is purely due to the feature-rich list of the watch. The Bushnell Neon Ion is a budget golf GPS watch that has all the features you would expect of a premium model. It does not have a colored screen like the Garmin S60 but it is almost half the price of the top of the range models. It has the best battery for a golf GPS watch with 16 hours usage with GPS on, which relates to approximately 3 rounds of golf. When it does run out of battery, it only takes 2 and a half hours to fully recharge it. The Shot Distance Calculator is the stand out feature for the Bushnell Neo Ion as its the only one with this. It works by measuring the distance without the need of you guessing it. With the distance clearly displayed, you can choose the correct golf club for the job. The screen face is a moderate size at 23mm x 23mm (0.91″ x 0.98″) and its fairly lightweight at 0.11 lbs. The Bushnell Neo Ion comes in a range of colors as well as different charging clip designs. 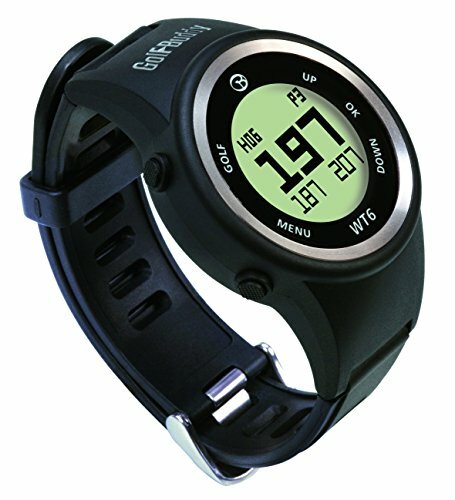 Overall it is one of the cheapest golf GPS watches on the market that actually delivers with a wide array of features. Many other cheaper GPS golf watches only include the basics and look low quality. However not the Bushnell Neo Ion, it is by far the best cheap GPS golf watch for the money. TomTom is the other major brand dedicated to GPS devices and their watch is targeting the cheaper golf GPS market that is similarly priced to the Bushnell Neo Ion. 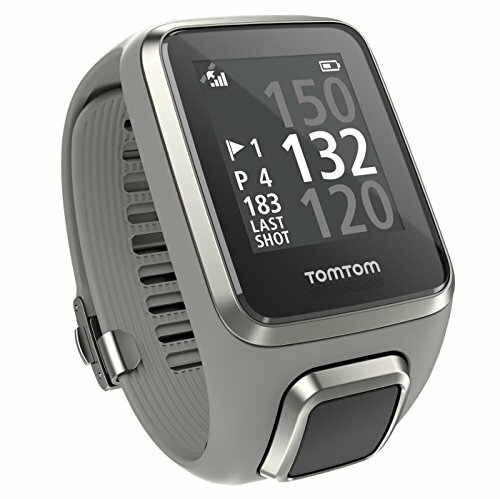 The TomTom Golfer 2 has a sleek design that is comfortable, lightweight and water resistant. It has one of the best smartphone applications for viewing your Shot History on the course. Back at the clubhouse when you claimed to have hit a long distance drive with your new driver, you can back it up easily with the intuitive app. Vital statistics can be shown easily such as the fairways you hit (or not hit) and much more. Apart from the fact it has no color screen, the specification is very similar to that of the Garmin competitor. However, the price of the TomTom alternative is almost half. The screen size is 22mm x 25 mm that has waterproofing of 40 meters, which is fairly standard among the GPS Golf Watch range. The TomTom Golfer 2 is a great all rounder and reasonably priced with a good specification. It is one of the best cheap golf GPS watches like the Bushnell Neo Ion, with not a lot between them apart from the styling. The GolfBuddy WT5 Golf GPS watch is the cheapest available that is also rated worldwide. It includes all the basics such as distances to the front, centre and back of the green, hazards on the hole as well as targets and much more. The GolfBuddy has had various upgrades over the years, but the WT5 is the latest and best one yet. It has been designed to be slimmer and more comfortable with an easy to use interface for accessing the features. Preloaded with 38,000 Golf Courses. A battery is a little bit of a drawback with this particular golf GPS watch as it will only last 8 hours in the GPS golf mode. Factoring the cheap cost to purchase the GolfBuddy, it’s not that much of an issue and you should easily be able to play 18 holes of golf. If you are on a strict budget and after a cheap golf GPS watch, this model will certainly be great value for money. The Garmin S60 has a major drawback in the cost for all the features that it includes but Garmin offer many other GPS golf watches that are cheaper. The predecessor to the S60 is the S20, which is very popular and highly rated worldwide. The S60 is always going to be the best golf GPS watch but for saving money and staying with the Garmin brand, you can’t go wrong with the S20. However, the S20 has the best battery life for a golf GPS watch made by Garmin with a 15 hours life. And much more but it’s important to note that this model does not have a touch screen and instead uses the buttons on the left side of the watch. Overall, out of all the golf GPS watches produced by Garmin, this is the best cheap model that has all the features you would want but without the huge price tag. Owning the latest golfing technology ensures that you are ahead of the game. From top of the range putting greens to GPS golf watches, all these assist with your technique on the golf course. Golf GPS Watches have become very popular over the last couple of years due to the increase of smartphones and golfers wanted more tech. Garmin has dominated a large majority of the market share but nowadays there is a lot more to choose from. Below is a list of thing to consider before you buy a Golf GPS Watch. The size of the watch face is very dependent upon the style of the watch you wish to wear. Some golfers prefer the compact and sleek look with information provided in short form. Others prefer the watch face to be as big as possible to include a more intuitive user interface. The benefits of a smaller watch face usual compromises of a cheaper purchase cost and less obtrusive on the wrist. 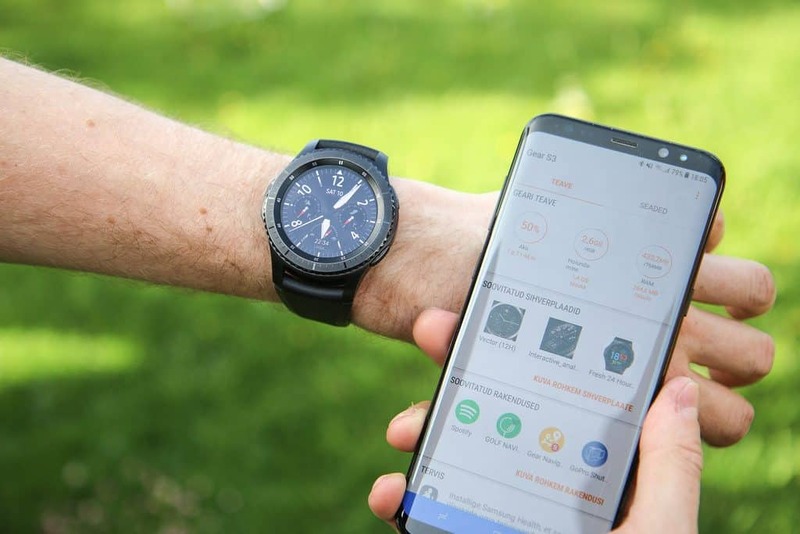 On the flip side, the benefits of a larger watch face include more functionality, potential to be touchscreen, more graphics to show and more. Out of all the watches, the larger watch faces such as the S60 provide much more functionality and look much better too. Every Golf GPS Watch should last at least 1 round of golf or 6 hours. If it does not, the alarm bell should be ringing as this would be a model to avoid. 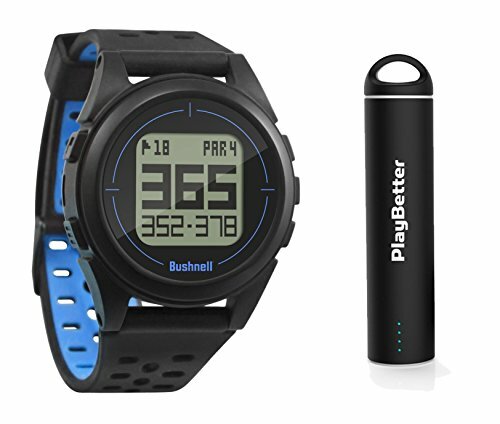 The best golf GPS watches usually last 10 hours or more (2 round of golf) with battery left over. Of course, once you have had the most out of your battery, you will need to charge it. Long charging times can be very frustrating but the majority should fully charge up within 3 hours. Some golf GPS watch manufacturers will have clever marketing that will trick you into signing up for a membership for the golf courses. You will want to avoid this as the costs can mount up over the years or monthly plans. The best Golf GPS watch will include preloaded courses that will have zero extra fees from updates. These are the best buy because you will not need to spend any extra other than purchasing the watch outright first. If you are the savvy golfer that likes to change things every now and then, some watches allow you to change the strap/bands. This means you can change the color to match your outfit and more. For the more expensive GPS Golf Watches, you will want to ensure you are getting your money’s worth. The S60 has the most amount of features within this article that includes a colored touchscreen with countless features. Features you can expect are the step counter, golf swing analysis, yardage to hazards, yardage to certain areas of the green, preloaded courses, auto recognition of the course, wireless connectivity and much more. 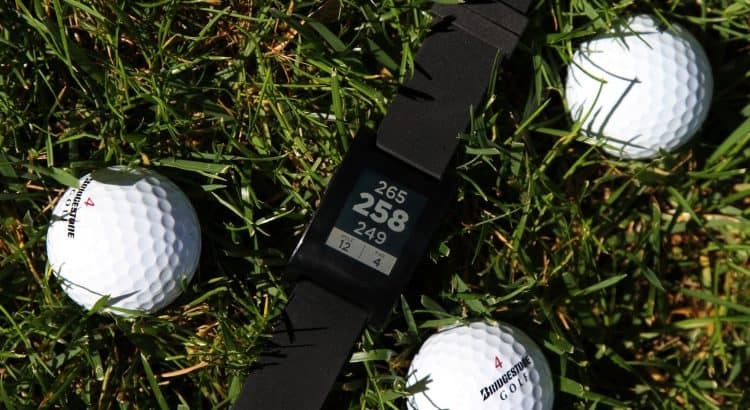 If you are looking for a golfing alternative to a FitBit, the Precision Pro Golf GPS Band is the answer with its ultra thin and more comfortable Golf GPS Watch that weighs just 1 ounce and comes preloaded with 35,000 worldwide golf courses. Callaway also does a wristband model but it is more than double the price just for the logo. They have the same features and the user interface is very similar. The Precision Pro Golf GPS watch is the one to go for and is reasonably priced. and much more but due to the screen size, the majority of information is in short form. It is intuitive as they come with three buttons and a simple to read interface for understanding all the information you require. Many golfers will prefer a wristband over a full-blown watch whilst playing. The Precision Pro is designed with comfort in mind and is the best GPS golf band on the market and is deemed very popular worldwide. I love the Garmin S60, it’s the one to beat in my opinion. I have the S60 and I can’t recommend it enough. However it is expensive. If I did more research I might have purchased the Bushnell Excel. I’m surprised it’s not on your list actually. It’s nearly half the price of the S60 and going by some reviews it rivals the performance of the Garmin S60. It has the Bushnell App, etc similar to the Garmin Connect App; and most all the cool features the S60 has, but like I said half the price. Has anyone here got the Bushnell Excel? I’m curious what they think of it. Are there any golf gps watches WITH the slope feature?